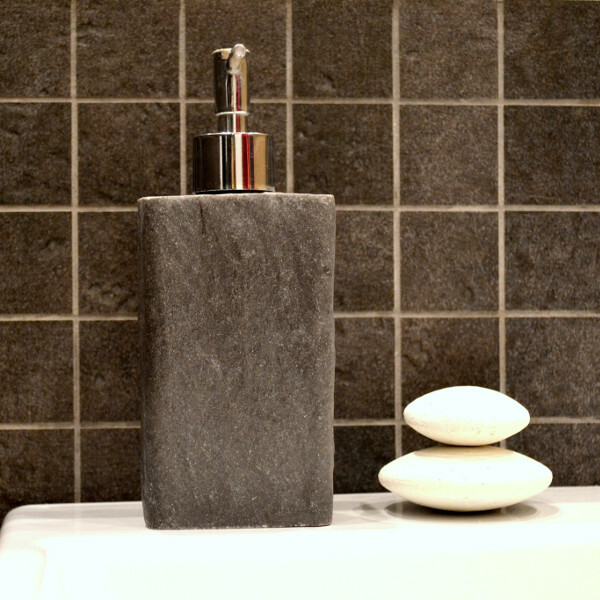 Why the SCRUBBING STONE is irreplaceable in your bathroom? Scrubs, smoothes and brightens the skin all over the body. Firms and smoothes thighs and buttocks and enhances reduction of cellulite and stretch marks. Incredible effects visible after the first use. Gently exfoliates epidermis and cleanses face skin. Smoothes and removes dry epidermis. Gently settles the skin colour. Perfectly fits facial contours thanks to its circular shape and small size. 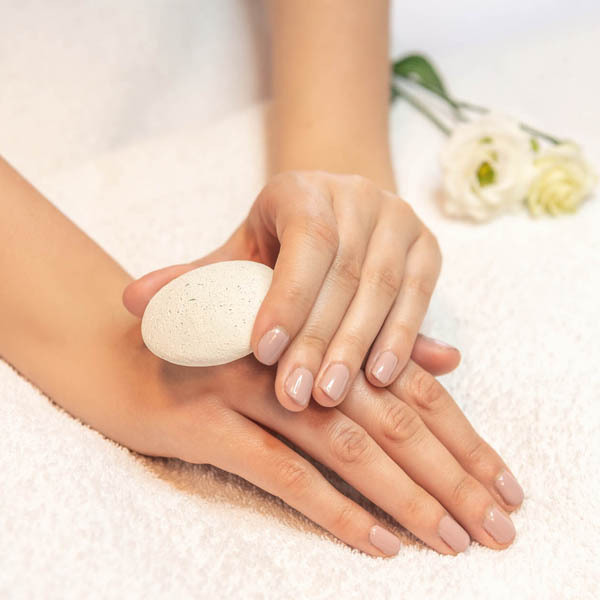 Thanks to its streamlined circular shape, which facilitates the skin glide, the stone fits a hand perfectly and enhances soft pressure of the hard structure of the stone on body and face muscles relaxing them during the treatment. Made of natural pure clay. Does not irritate the skin if used according to the recommendations. Dermatologically tested. 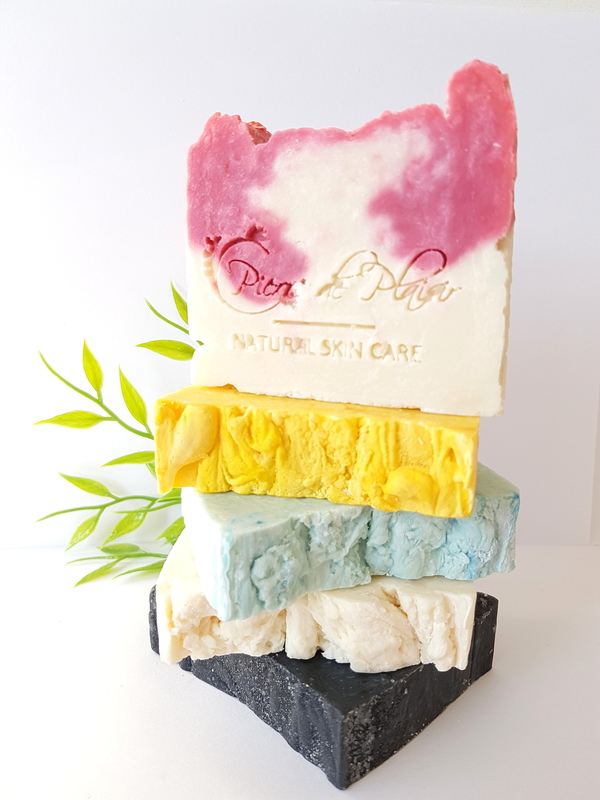 Why will Pierre de Plaisir NATURAL SOAPS take better care of your and your relatives’ skin than any other washing products available on the market? Approx. 80% OF THE INGREDIENTS ARE VEGETABLE OIL AND BUTTER! 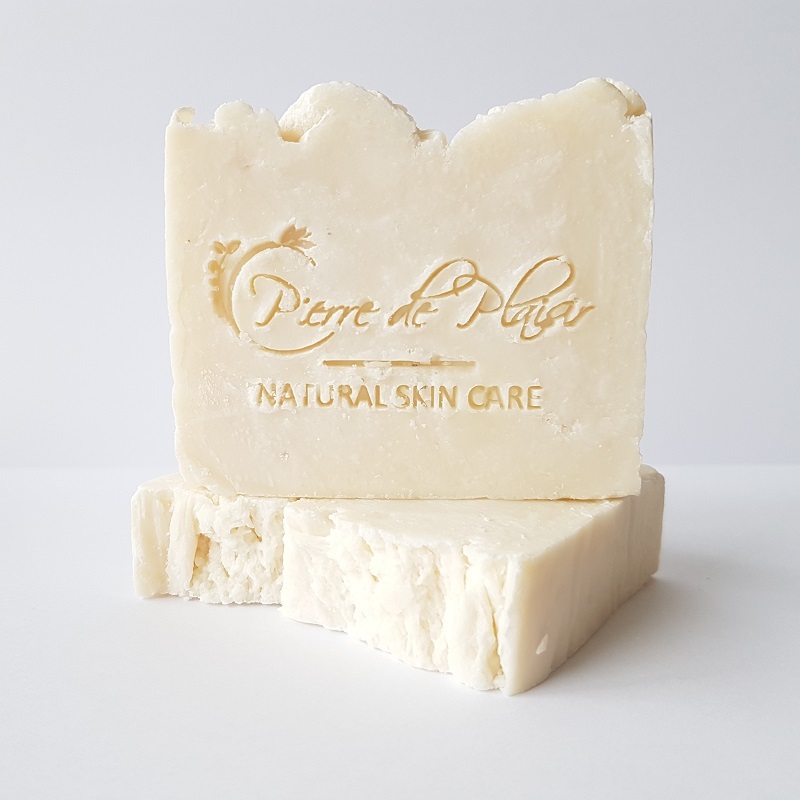 Pierre de Plaisir natural soaps are perfect for people with very dry, irritated or contaminated skin. 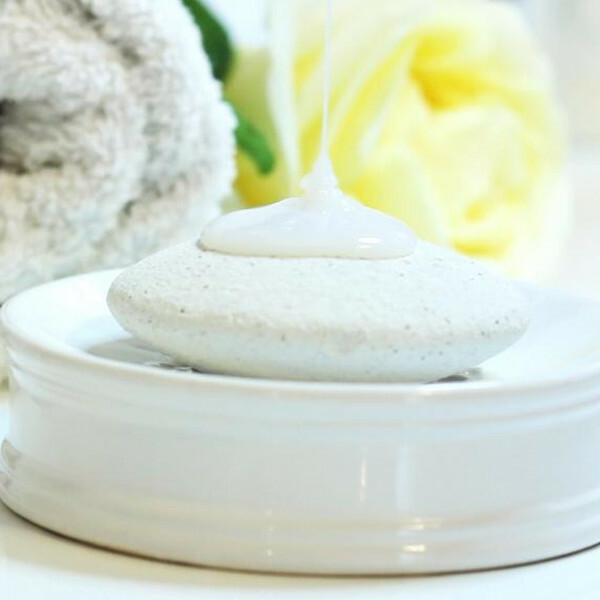 After using the soap on a body, there is no need to moisturise the skin with a body lotion or oil. 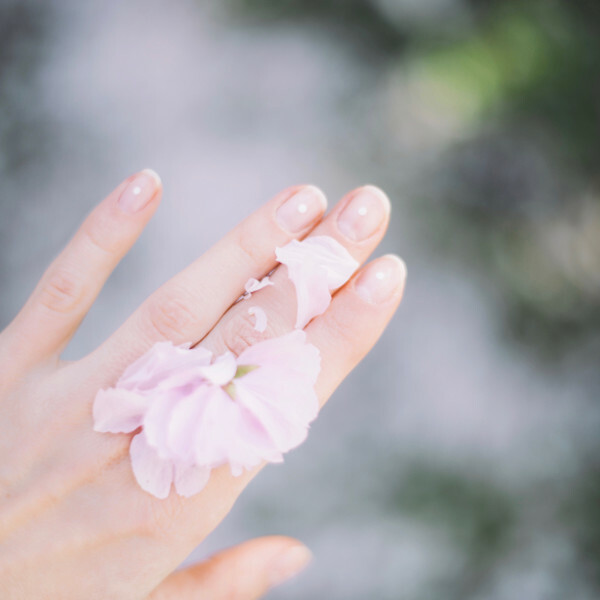 They gently cleanse and nurture the skin on the face. A high content of moisturising oils as well as healthy and 100% natural ingredients of the soap cleanse and nurture soft baby skin in a safe way. They eliminate all kinds of skin dryness and moisturise the skin. 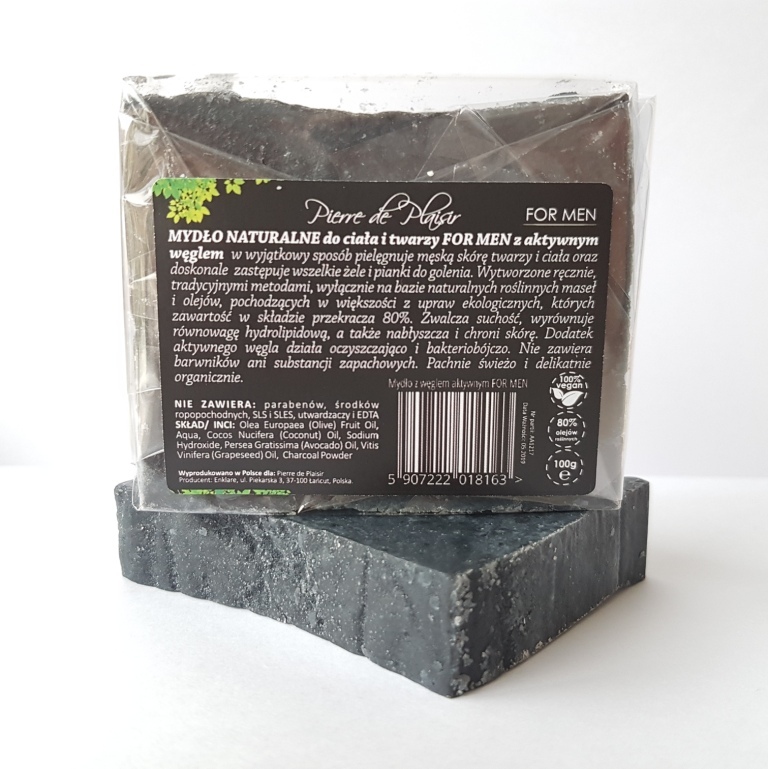 Men’s version of the soap FOR MEN substitutes all kinds of shaving gels and foams and leaves the face skin smooth and moisturised. It is also perfect for beard care. 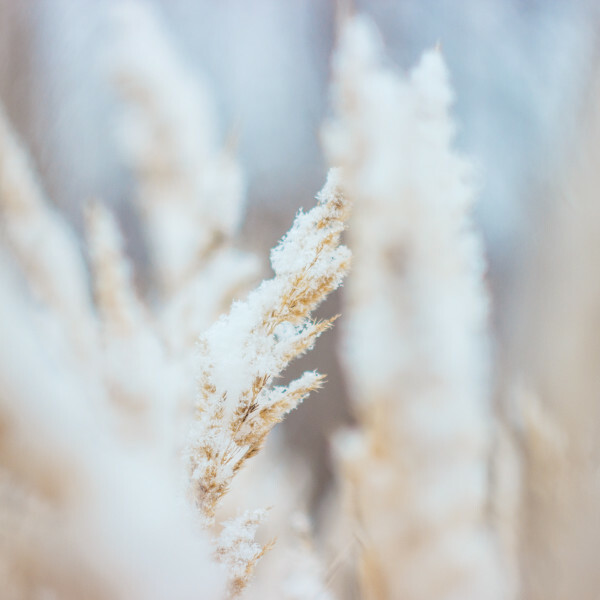 During one of our holiday trips we discovered an extraordinary product, which surprised and fascinated us, and became an inspiration to start our own production in Poland. Why? 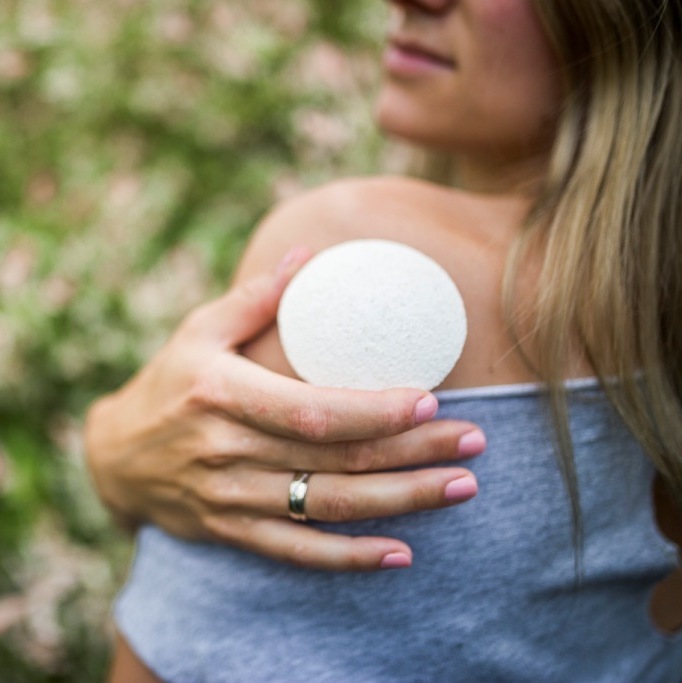 Because this unique and innovative SCRUBBING STONE was created for one purpose : to make the skin so smooth, soft and relaxed as never before in a most natural and easy way. 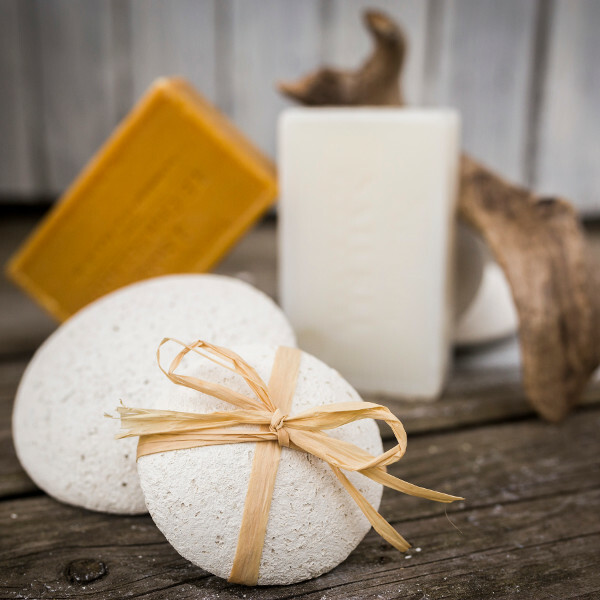 As the enthusiasts of natural body care we were surprised by incredible results and versatility of the product. 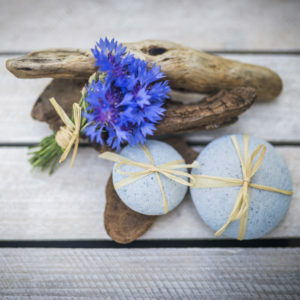 Scrubbing stone perfectly fitted into our philosophy of living in harmony with nature and enabled us to replace few skincare products with that one, the most effective. 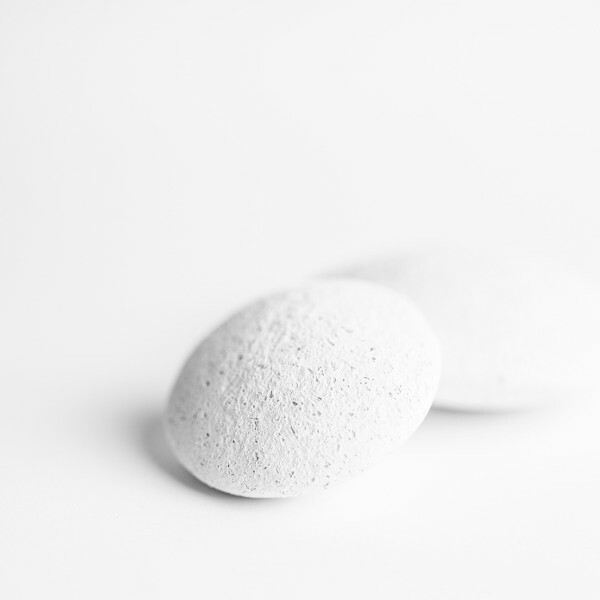 SCRUBBING STONE is an alternative for all scrubbing cosmetics aiming to regenerate epidermis and smoothing the skin, so far unavailable on the market. It was created for natural, multimodal (smoothing – exfoliation – massage), safe for body and effective skin care. 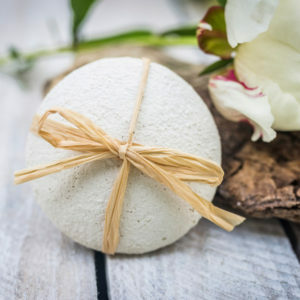 It is also a perfect substitute of pumice stones and all scrubbing tools available on the market intended to exfoliate the epidermis of feet and the thickened skin on hands, knees and elbows. 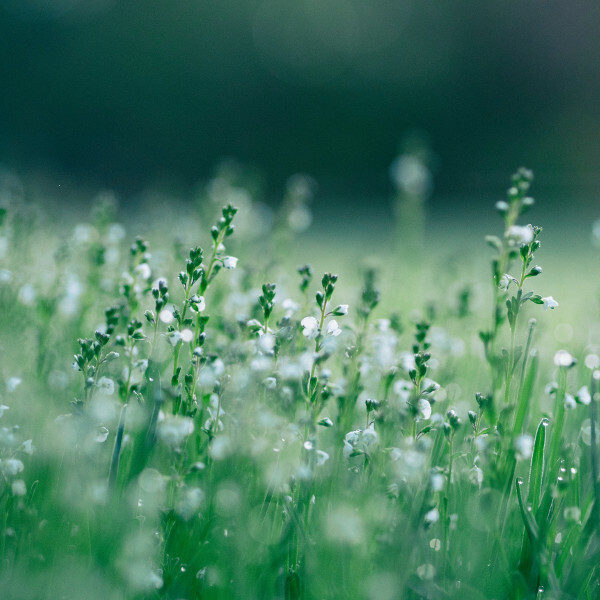 Handmade of natural ingredients, which makes each product unique, manufactured with passion and commitment with the mission to pass the care power of nature to every single user of our product. 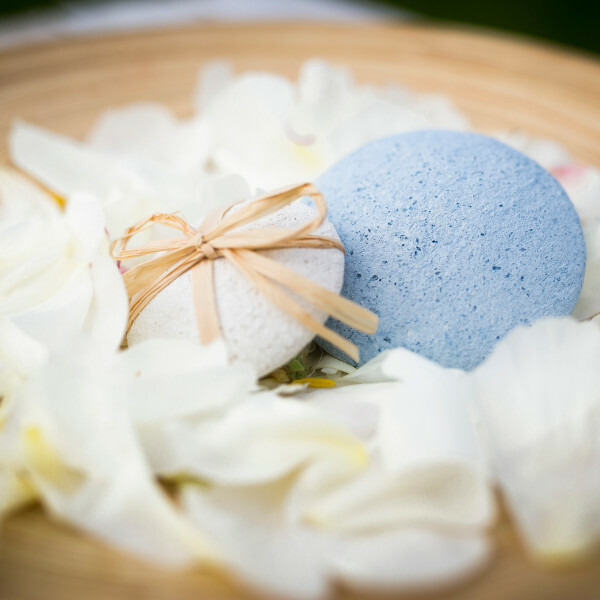 Do not hesitate and try SCRUBBING STONE properties for yourself to see that from the first use it becomes your irreplaceable skincare product. GIVE YOURSELF THE BEST SMOOTHING TREATMENT AND UNIQUE BODY MASSAGE IN THE PRIVACY AND COMFORT OF YOUR HOME! To contact us send an e-mail to biuro@pierredeplaisir.com or fill in the contact form.